Speaking for myself, well…lately, it seems like this is all I do. I have no idea why! It just seems to happen. Whether it’s my rabid interest in all things analog, the inability to say no, or some other reason…they just keep coming. And honestly, it’s hard to complain. 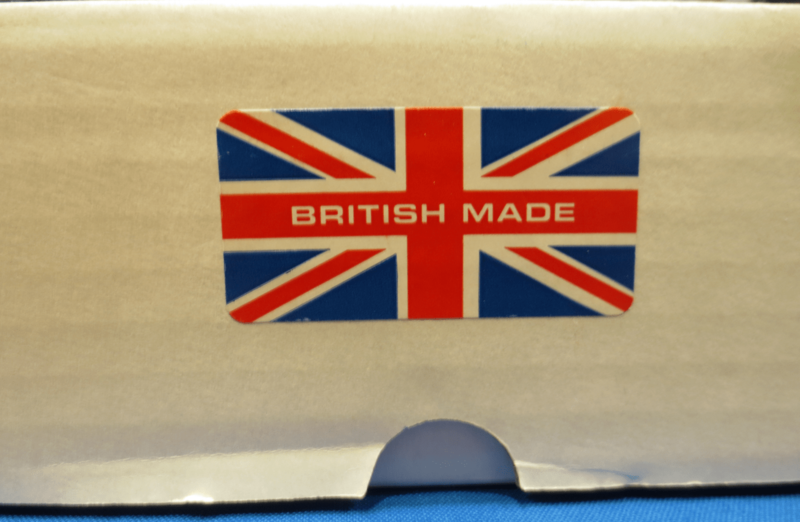 Some firms, somehow, manage to focus (and survive) on analog products almost exclusively – Ortofon and SME are the first, and oldest names that come to my mind. Rothwell Audio, from their base in Bolton (England), is a small outfit that really makes very little else, apart from phono stages and MC transformers. It’s just this kind of dedication that we admire most, here at Wall of Sound. 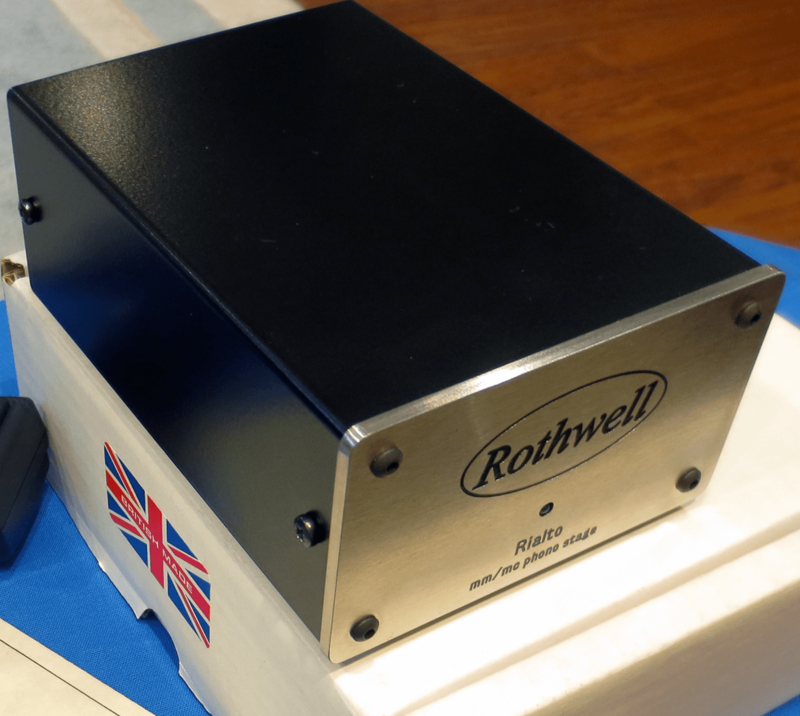 The Rialto is Rothwell’s starting point when it comes to moving-coil amplification. 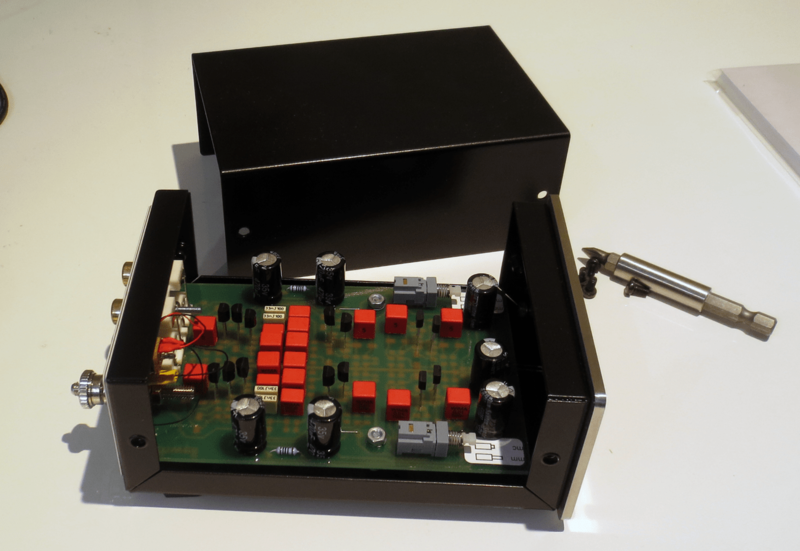 This solid-state unit has switchable MM and MC circuits, with 42 dB and 62 dB of gain respectively. The MC input impedance is fixed at 100 Ohms. The Rialto retails for $849 Cdn. I won’t get into regurgitating specs and talking points, but a visit to Rothwell’s web site is worthwhile – they do describe the design in a fair bit of detail. I tested the Rialto with two cartridges – my reference Charisma MC-1, as well as the excellent Nagaoka MP-500, a high output moving-iron type that I had in for review concurrently. First off – the Rialto is nicely built: not luxurious or over the top in any way, but it’s clearly well made. The fit and finish are good, and the circuit board work looks impeccable. This is a small unit with a small footprint, as befits a preamp that amplifies a very tiny analog signal. In part the small size is also due to the nowadays common practice of supplying it with DC voltage (24v) from an external wall-wart transformer. One thing to note, the Rialto has “normal” sized input and output jacks – so use common sense interconnects with it, not overkill ones. 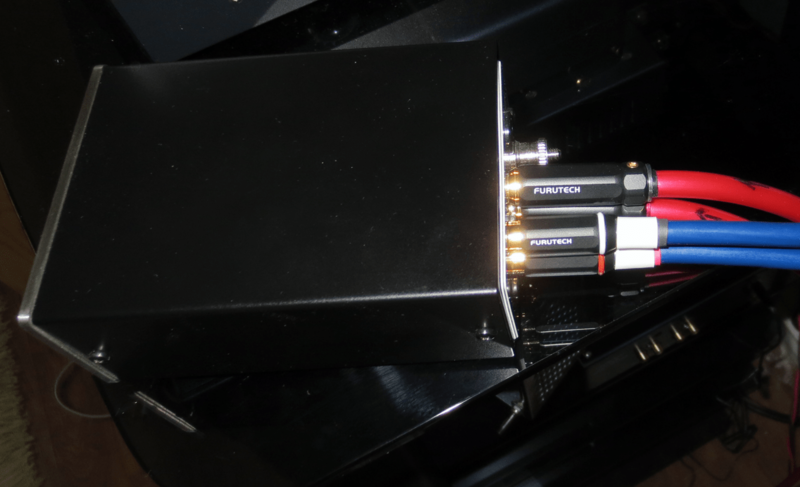 Photo below illustrates the point – Furutech’s FP126 connectors are a good fit, whereas the big FP110 can be made to work but it’s really tight – the barrel on this connector is so big that the L and R connectors want to become intimate friends. It’s also a heavy connector, typically attached to a thick, heavy cable, so it will tend to jack the unit up, and the pin won’t mate as snugly as it should with the phono jacks. Less is definitely more here. The Rialto was very quiet in my listening sessions. It seems properly grounded and very well-isolated from power supply noise. Again, the blurbs on Rothwell’s site suggest that these guys know a thing or two about good circuit design. MC impedance was close to a perfect match with my MC-1; it would be nice to see some choices here, but Rothwell’s philosophy is that simplifying and shortening the audio signal path is their primary design goal, and I respect that. Their decision to fix it at 100 Ohms is a good compromise, and should suit most MC cartridges fairly well. Actually that brings me to the one small nit I have to pick. Those who switch between MM and MC cartridges (or between “MC straight” and MM with SUT modes) may be frustrated by Rothwell’s decision to locate the switches (there’s one for each channel) inside the chassis. It’s not a showstopper, but the explanation given about signal paths left me a little nonplussed. The switches face the front panel faceplate – they could have made a T-bracket style lever that could be operated with a push button, and kept the circuit and layout exactly as it is. The way it stands, plan to spend 3-4 extra minutes switching over. Continuing with the minimalist design ethos, the unit has no power switch. Plug it in and leave it on. By the way, Rothwell has chosen a universal voltage transformer, and included are adaptor swaps for overseas outlets. Nice touch. If you happen to have access to a turntable on business trips, by all means throw the little Rialto in your suitcase! Sonically? Well, to cut to the chase, I found the Rialto to be quite a “truth teller”. Not in the sense that it gives you the very last ounce of detail, or treble extension; what I mean here is that the Rothwell Rialto simply doesn’t editorialize. It doesn’t add upper bass “warmth”, exaggerate soundstage, or perform any other trickery. Is this a good thing?? I sure think so. It means that upon initial listening, you aren’t blown away – but the longer you use the Rialto, the more you come to appreciate how musical, and accurate it really is. Neither frequency extreme is rendered with particular emphasis, or distinction. The critical midrange performance is just downright excellent. So, the Rialto essentially gets out of the way and lets you forget about it. There’s a consistency here from disc to disc, and between cartridge swaps, that I found reassuring. I didn’t concern myself with impedance matching, I didn’t find myself worrying about soundstage or other details. I just enjoyed my records and the very natural presentation that was given. To some that may sound dull – but to those who have toiled their way up the treacherous mountain of analog excellence, you know that having things go smoothly is a godsend! Let’s talk about cartridge swaps. And for that matter, other ancillary gear matching. Like many, I’ve found that much of the best gear available (at least to us mortals), tends to lean just slightly to the warm side of neutral. This goes for speakers, cartridges, amps, you name it. Even recordings. It’s not a rule, or a given, but it makes sense that perhaps many designers are aiming for that goal in their products. My reference Charisma MC-1 cartridge is a good case in point. It has just enough richness to add beauty to the musical landscape. We’re talking about tone here, primarily. I absolutely adore this cartridge, in every way. With the Rialto, I listened with the MC-1, both in “straight MC” mode, as well as with the Altec 4722 step-up feeding the MM section. Either way, my feeling was that the Rialto allowed the character of my cartridge to really come through, unfiltered and uncoloured. This meant that when I was testing a component, or otherwise “listening for something”, I was able to count on the Rialto to be a non factor – a neutral conduit. Again, I’m trying to give the Rialto appropriate praise here: having this kind of component in a critical position is a boon to any reviewer. I appreciated that reality on a number of occasions. For MM performance, my testing was with the excellent Nagaoka MP-500 (actually a moving-iron design), that I had in for review. Here things got a little more interesting, if you will. Why? Because I found the Nagaoka to have largely the same set of attributes as the Rialto: it’s very musical, but also very neutral and slightly on the dry side. It doesn’t force itself into the conversation. More like a fly on the wall than a strong character. The interesting part, to me, was that although both the Nag and Rothwell are neutral, and in fact could be twin sisters in terms of “character” (or lack thereof), using them together didn’t result in much synergy. In fact the music pretty much fell flat. In a perfect world, we could design (everything) to measure flat, put them all together and have musical magic. In the real world, we have to deal with yin and yang. Components need to balance and complement each other’s strengths and weaknesses. Perhaps, if using a warm sounding turntable (say a Linn LP-12) along with warm speakers, like the Rogers LS3/5a, this pairing might have clicked. For me, it didn’t. But I understood why, so there were no surprises or disappointments. And still – having the phono stage neutrality of the Rialto allowed me to easily confirm the Nagaoka’s sonic signature. Invaluable! That brings me to a conclusion. I found the Rothwell Rialto to be something of a scalpel. There is no euphonic, pleasant harmonic distortion here. No cream or other liquid colourations. No 12ax7 tube to roll. It just doesn’t bring much warmth to the party. Put it in a dry, analytical sounding system and you may find yourself wondering where this elusive “magic sound of vinyl” went. But if you pair it carefully, with ancillaries that do have inherent beauty and warmth, the Rialto will reward you with an outstanding, honest, and musical rendition of that beauty. There was a time when all audio companies strove for this goal. Kudos to Rothwell Audio, they obviously still do. Recommended. With sincere thanks to Alex Tiefenboeck, owner of Crown Mountain Imports (which distributes Rothwell Audio products across North America), both for providing the review sample, and putting up graciously with some unforeseen delays.